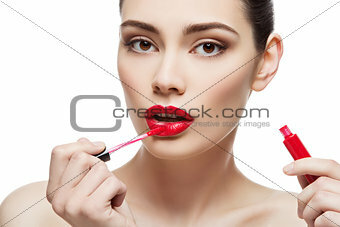 Image Description: Beautiful young woman applying red lipgloss with applicator. Isolated over white background. Copy space.